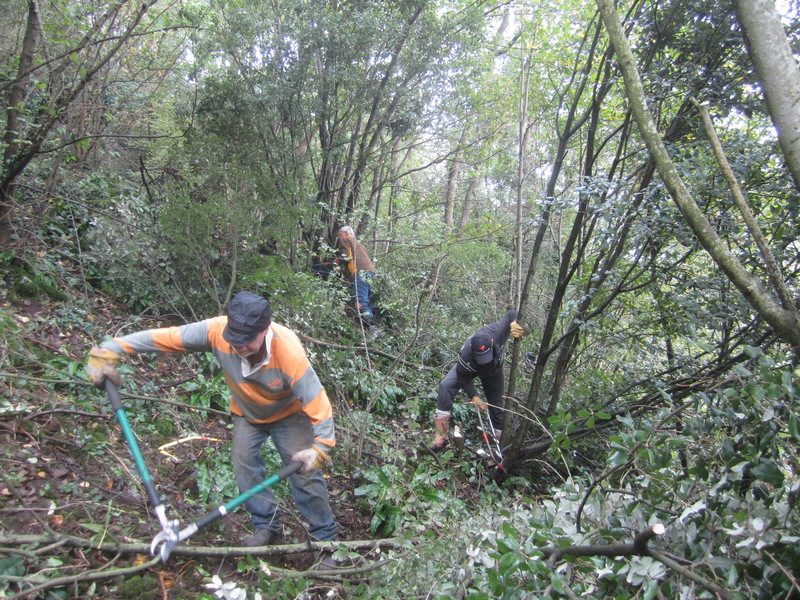 A team of 6 Woodcutters cut out sycamore saplings and non-native Holm oak to allow more sunlight to reach the woodland floor, thereby encouraging native plants and other wildlife to flourish. Cut material is left in heaps creating useful habitat. The work also serves to enlarge the area accessible to students for their outdoor activities. The Woodcutters removed brambles on both sides of the old chainlink fence (formerly erected to protect newly planted hazel from deer). Debris was raked up and litter collected. 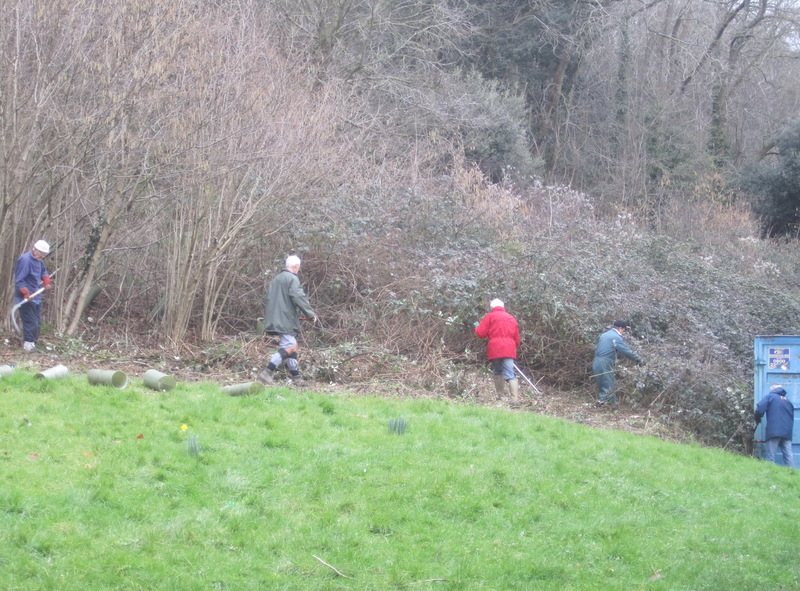 Brambles were also cleared from an area of the woodland floor to enhance the existing glade, which is used for student activities. The Sixth Form students intend to dismantle the collapsing chainlink fence and use it around their new vegetable beds and apple trees as protection against deer. 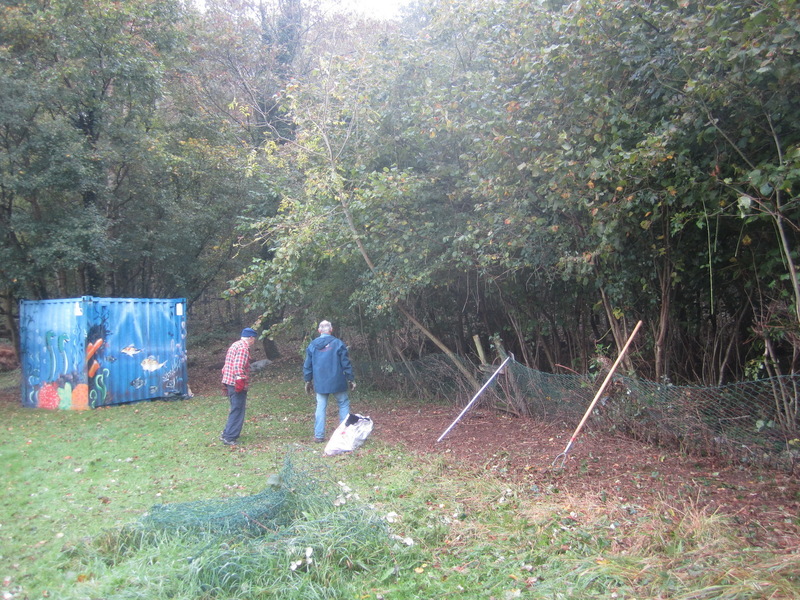 The Woodcutters cleared a massive bank of of brambles between the 6th Form block and the edge of the woodland. This will enlarge the grassy area available to the students. With help from two 6th Form students and their director, the Woodcutters set out fence posts around the vegetable and fruit tree plot using recycled materials from a dismantled chainlink fence at the edge of the wood. Horizontal wires were attached to the posts. 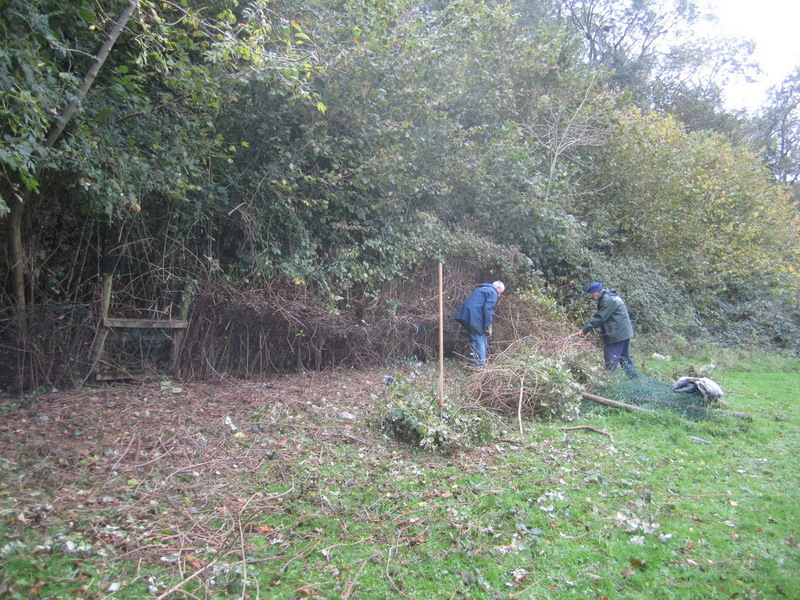 Meanwhile, some of the Woodcutters continued to clear brambles, further enlarging the grassy area behind the 6th Form block. Students attached the old chainlink fencing the following week, on 11th February. Earlier work at Clevedon Community School can be found at Clevedon School 2013-14 and later work at Clevedon School 2015-16.